Recently, I’ve had the opportunity to spend some time with SAP Screen Personas 2.0, a web-based alternative to SAP GUI offering some powerful tools to beautify and enhance classic SAP screens. This post is dedicated to sharing some impressions of the tool. Read on to learn more. These impressions are based on the equivalent of about 3 to 4 hours of face-time with the tool. However, I also have the advantage of having used other similar tools, like Netweaver Business Client, that offer similar point-and-click functions. That said, I was still struck by how easy the tool is to use. Any experienced SAP consultant — perhaps even solid power users — will have no problems with it. Always start by creating a copy of the standard screen. 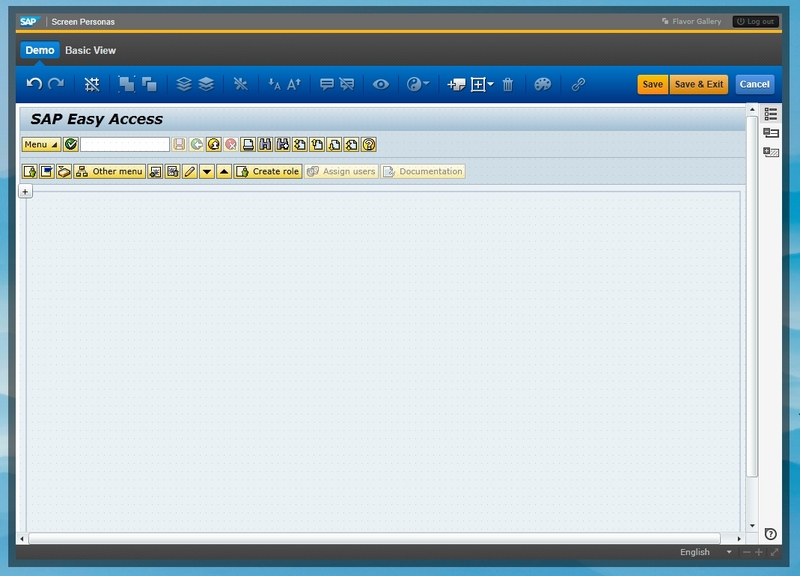 As a new user, upon logging in you are presented with a web portal-like representation of the SAP Easy Access menu. Creating a copy of the Basic screen is as easy as you may have seen on any of a number of YouTube demos — just access the settings menu, click ‘Create a copy’, and give it a name. The Hide button quickly allows for a fresh start. From here, you’re free to start modifying. Hiding screen elements is both easy AND gratifying and before long, you can have a clean slate to start building from. One annoyance is having all the little “[+]” symbols all over the screen; these are the remains of your hidden elements. Resurrecting them are as easy as clicking on the “[+]”. 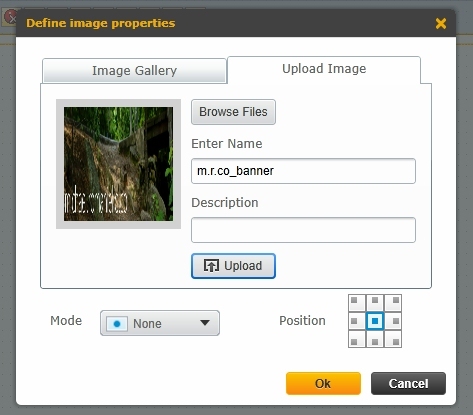 Add an existing image from the catalog, or upload a new one. Adding images to your screen is very easy. However, I found that image manipulation is clunky and doesn’t quite behave as expected. You can select an image you’ve already added by clicking on it. Your selected image now has some familiar looking “handles” that you would expect to resize the image. However, I found that adjusting these handles results in a bizarre combination of resizing and cropping. Pay close attention to the “mode” that you select when importing images as this will determine how the graphic behaves once on your canvas. Using the “launch” function, custom transaction menus are built easily. 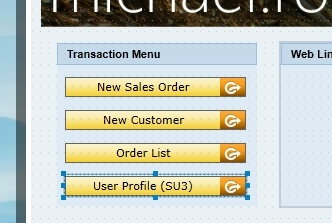 It’s very easy to build custom user menus by copying the Easy Access Menu and adding SAP transaction codes using the “launch” function. 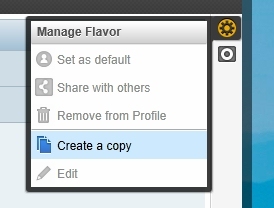 This allows you to quickly build role-specific menus. Since individual personas can be copied to new ones, you can quickly build a role-specific screen and then copy it to tweak for a different role. However, there doesn’t seem to be any functionality supporting templates. This means that if you want to make a change to multiple personas, this will involve changing every single one individually. 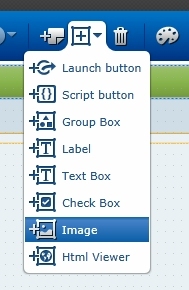 Scripts, groups, images and more are added from the object menu. A very powerful feature is the scripting function. You can toggle back to the basic menu and record a series of steps. Stopping the recording will prompt you to save the script to your local system as a .txt file. You can then import this script by assigning it to a script button on your persona screen. When clicked, the system will automatically reproduce those steps exactly. In my demo, I suggested a scenario where a Customer Service Representative routinely creates sales orders manually for a particular customer. By recording these steps to a script and adding it to your screen, the user can click one button and automatically launch VA01, select the order type, and input the Sold-to and Ship-to partners. You can further refine this process by allowing your user to input values into the script from text fields on the main menu. There seems to be the ability to add Web-based content to a portion of your Personas screen. However, I had no luck in getting this feature to work. I envision having a type of “frame” (for want of a better word) displaying content from a web page. This could be handy for incorporating corporate announcements, blog content, or social media content into your start screen. But, like I said, I had no luck getting this to work. While not really a feature, it’s important to note that the above features are able to be implemented for ANY screen in SAP. Any one you want. These are, without a doubt, VERY powerful capabilities and give an organization the ability to make a big impact very quickly. The whole Personas tool exists within a web browser window; this brings with it some pros and cons. On the positive side, no SAP GUI installation is required (unlike NWBC). This means that deployment is VERY easy and is supported on a variety of different systems. However, anyone who’s used a portal solution or NWBC knows that the classic SAP menu options are only accessible through an extra click of the “Menu” button. This can be disorienting for users who often balk at additional clicks. But this is a minor training issue. I’m very impressed with Screen Personas 2.0. As a consultant, I immediately see many opportunities to use this tool to simplify screens, streamline routine processes, and generally improve the look and feel of SAP. And to be able to do so quickly and easily delivers instant value. Further polishing of the Personas user interface would certainly help. Adopting image manipulation standards from other similar UI programs — think Picasa or Photoshop Express — would make the creation of pages a bit more intuitive. One other concern I would have if I were implementing Personas at my client would be Persona management. I am unaware of any persona management tool to assist in the duplication and assignment of personas to users or roles. One may very well exist; I am just unaware of it. Otherwise, I am greatly looking forward to my first Screen Personas implementation! From your experience how long would it take to install and configure screen personas? We outsource our SAP support and our outsource partner estimate appears quire high from my basic screen persona knowledge (80 hours) for 4 regions (trianing, dev, QA and PROD). This would not include any personas builds as we would do that ourselves.